Article: How Your City’s Public Transit Stacks Up | FiveThirtyEight. 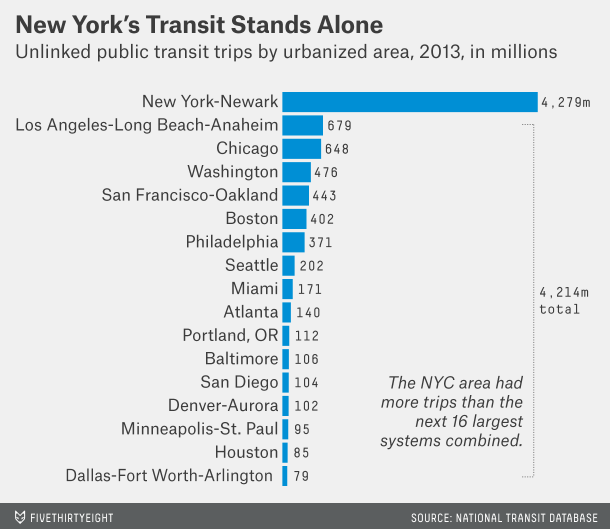 The author learns what many of us already knew: NYC, especially in terms of transit use, is so far out of scale with the rest of the country that it’s almost meaningless to include them in studies like this. I’ve talked about this before. Just leave NYC out and then you can say something about the rest of … whatever you’re talking about.